If you are part of Facebook community then you will be used to seeing different types of Facebook Ads on your browser screen everyday. Facebook ads are the sponsored messages which are used for sharing information about products or services rendered by a company/business/brand/firm. The Facebook community is a very large one, with an estimated 2 billion users who make use of this platform, the huge audience base provides a suitable opportunity for business owners to effectively promote their brand ,products and to so many people. External link ads are mostly used for promoting blog posts.These ads are published in middle of the news feed and is a great way of capturing user attention. External link ads generate lots of likes for blog posts or websites by driving clicks on ad. Video ads are usually on right side of the news feed and is supported by both mobile and desktop views. These type of ads consist of video, text related to the video or the product offered and a link that redirects on the main site of the advertiser. These ads are helpful in targeting specific audience, especially if you have limited budget. Multi-Product ads are helpful for the business owners who offer more than one service or product and want to promote them all at same time. With this type of ad one can promote up to 3 product with same link for 3 products. One of the most effective way for engaging your customers is to attract them through visual content and photo ads is one such way. These type of ads are placed in the right column in Facebook and includes text and links related to the Photo. Hyper Local ads make use of Bluetooth beacon and location trackers to search for the business and people that can be potential customers. These type of ads are very useful for people who have physical stores and need to drive foot traffic to their stores. With Event Promoting ads, creating awareness for an event has been made easier on Facebook. Event promoting ads enable business owners to promote their events without stress by just posting information about the event and pictures related to that event. This type of Ads is particularly helpful in attracting users who are interested in events similar to the one you are organizing. 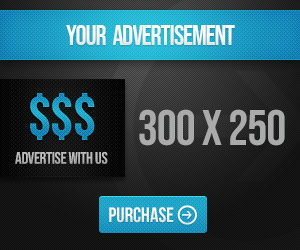 Offer Ads come in handy if you have any active offer or promo coupons running. It can be used to attract and compel your customers to take your services. Potential customers can redeem the coupon code or offer code by just clicking on the Ad which redirects them back to your website. This type of Ads are very effective when you are having a last minute clearance sale and need to clean inventory. 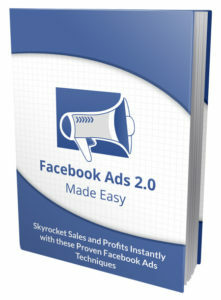 If you are interested in learning more about Facebook Ads, then don’t fail to download your own copy of “My Free E-book” on Facebook Advertising below. Don’t forget to SHARE this article, someone somewhere might just be looking for related information; because “CARING is SHARING & SHARING is CARING.